It's been a wonderful week! Bible and Spelling tests will be tomorrow!! Please wear Friday Shirts tomorrow!! They will be going home today. -Cameras are up to parent's choice. Disposable cameras rock! - We will be playing "sneaky" games involving scripture. If you would like to help your child memorize some scripture, here is a great playlist for scripture songs. -Students WILL have PE/JAPANESE/LITERACY on TUESDAY!! 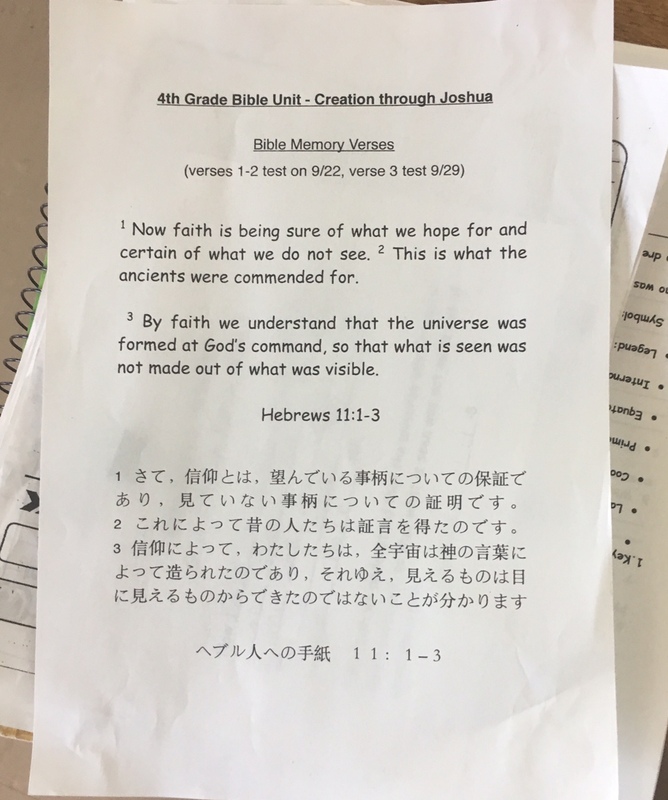 No PE/JAPANESE/LITERACY Friday!